The day we very much dreaded came yesterday - Tuesday, November 6th. We made the difficult decision to let our sweet boy pass on. His breathing had become labored and needed oxygen. We learned that he was in congestive heart failure with fluid accumulating in his lungs. How lucky we were to have a cat that made letting him go so hard. 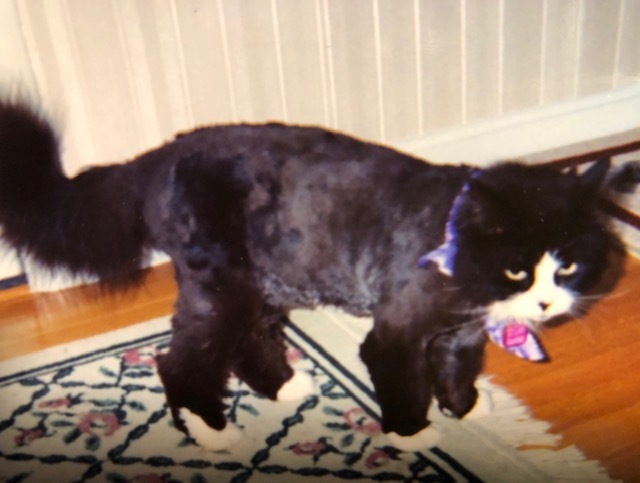 Buddy came into our lives in September of 2002, adopted from a shelter in Rhode Island. He was about 3 months old and joined our household with (3) other cats at the time. He spent the first 6 years of his life as an indoor/outdoor cat but, when we moved to a new home in 2008, all of our cats became indoor only. Buddy was alway a bit insecure and never fond of strangers. 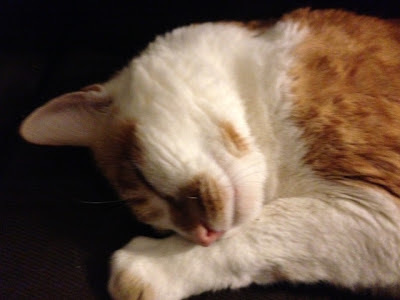 As he got older, he became more of a lap cat than ever and a silent reading companion I could always count on. After losing one cat in 2/2017 and another in 10/2017, he became the only cat left and very needy, always wanting to be near us and protesting a bit when we went out, he learned to make us feel guilty. He counted on me to share my cheerios & milk and oatmeal with him. He was a cat that always looked at me with such loving, soulful eyes, summoning me to bed around the same time each night. A cat who left a huge void in now my aching heart. Buddy, you were loved and will not be forgotten. Thank you for 16.5 years of happiness. Run free my special boy. Oh no, we know how hard it is and how you were dreading that day. Please know we are thinking of you and sending love and hugs your way. Run free dear Buddy, you've earned it. Thanks Brian, I know you can relate as your family has had many losses recently as well. I'm so sorry for the loss of your sweet Buddy. They bring such joy to our lives, it's hard to let go. Sending hugs your way. Thank you for stopping by to share and care. I appreciate it. My heart aches, and aches with yours. You will be in my thoughts, Diane. What a sad day indeed. You made such a huge difference in his life, cheerios and all. Judith, thank you so much; I appreciate your thoughts. I now have to change my breakfast choices for a while, as I won't be able to eat Cheerios or oatmeal with a dry eyes for a while. I know how much pets are a part of your family and am so sorry for your loss. Kathy, thank you my friend. Oh, Diane, it just makes me cry. My heart aches for you. We got our first in 1969, and we are quite sure that our Raya will be our last. She is 17 1/2 and very skinny but still going up and down stairs. Do you think you will get another(s)? Nan, we do not plan to get another cat. 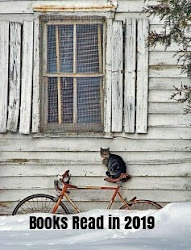 Some day, if I'm all alone, I may adopt a senior cat or give a home to a cat whose owner has died but, no more kittens. 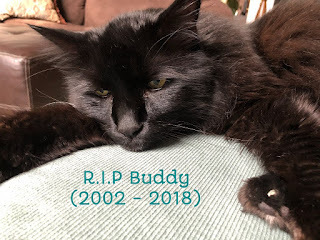 After Buddy became the only cat left 13 months ago, he became needy, making us feel very guilty when we left home, so we gladly, sacrificed week-long vacations knowing our time with him most likely was limited. Now we might catch up on travel a bit in 2019. I hope Raya has 9 lives. They all get so thin when they get older - Buddy dropped to under 10 and he was a bigger cat too. Raya was huge - over 15 pounds, but now she is 5. She has had not a great week, yet we went away for the evening, came back, and she had eaten all her food. She has become a yogurt aficionado. She eats more than we do each day. Tom says no more cats, but I don't know if I can live a life without one. At one time we had seven. Oh I know the feeling. Goodbye Buddy. So hard ; Thanks Judy. I'm so sorry that this time has come for you, Diane. I remember you mentioning Buddy (and your other cats) often. Take care of yourself. I'm so sad to hear about Buddy! I know how hard it is to loose a beloved fur baby, especially one you've had so long. Sending you lots of hugs. Vicki, I know you are a pet lover who has experienced loss; thank you for your hugs. Oh I'm so sorry Diane. We had a loss here in August and it's so unbelievably hard. He sounds like a very special companion. Mourning with you and wishing Buddy the best of times on the other side of the bridge. Oh, I'm so sorry, Diane. Fifteen years ago we had two pups and two kittens. They have gradually left us until we are left with just one cat - very, very needy in his lonely old age. It's so hard to lose them. What a lovely tribute, Diane! I'm sorry for your loss. Pets fill our lives so much that it's hard to see them go. He was a beautiful boy! Carmen, thank you for sharing and caring; I appreciate that you stopped by. I am so sorry to hear about Buddy's passing; losing a pet is never easy. Yes, Les, the house feels so different without a pet. I turn a corner and expect to see him. They leave such a mark on our hearts. Sweet Buddy!! That they do; it's very different without a furry friend. So sorry Diane. So hard to let go. You gave Buddy a great life. & perhaps you can find comfort in that. Our dog is so important to us. I know how you feel. Thank you; he did have a great life for a cat. Diane, I, too, am so sorry about Buddy's passing. He had a wonderful family who loved him very much. I know you will miss him. Sending hugs your way! Thanks Susan, I appreciate the sentiments. My brother had a lovely black cat. 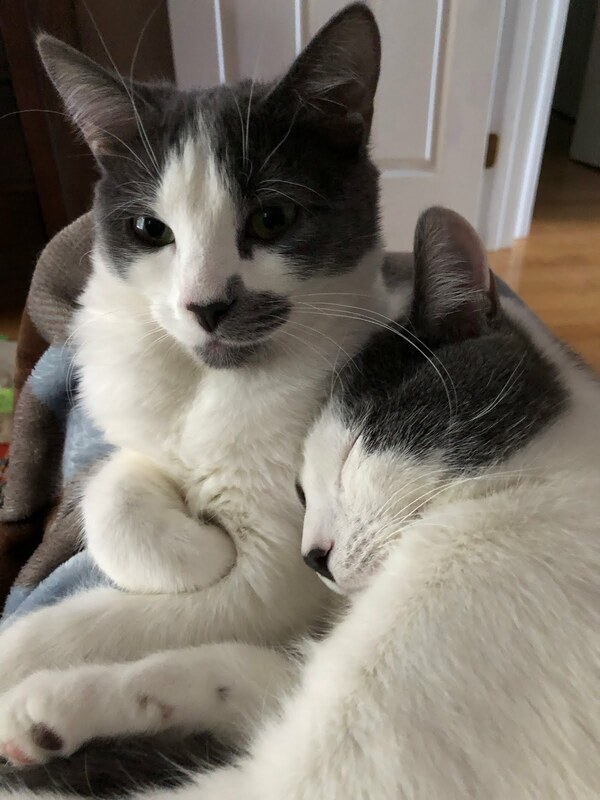 When she was a kitten, she showed up on his doorstep on a snowy Wednesday morning. He named her Wednesday. She had a strong personality, and she tolerated me when I visited my brother, but was definitely HIS cat! LOL Even though Wednesday is gone, memories of her are not. I'm so sorry about your loss of Buddy who sounds like he was a wise and wonderful soul. Monica, I thank you for sharing your brother's story about Wednesday. Buddy was just a special cat. Diane, I'm so sorry! These are beautiful pictures of buddy and thank you for sharing with us. Hugs! Hugs Diane. He was well loved and it sounds like you were too. That's all any of us can ask for.